I have problems with the lock on the drivers side, I have already removed the handle with the cylinder but I can't still turn the knob. And I can not see how the mechanism is working. Does someone have clear pictures of the lock and what could it be ? If the door is open it wont turn, close the door and see if it works while closed. It is a lockout prevention enhancement. It only works this way on the drivers side, the passenger side lock does not have this feature. I am glad to have helped. Enjoy your day. I have this exact same problem on my 82. Drivers side door only. Door open or closed, I can not lock the door either with the manual knob or by outside key lock. The knob nor the key will turn at all. Passenger side door works fine but when I lock it, it automatically unlocks. Anybody have any insight into this issue? I appreciate the pics of the door inards. I'm still not sure however what my specific problem is with the drivers side door lock not moving. 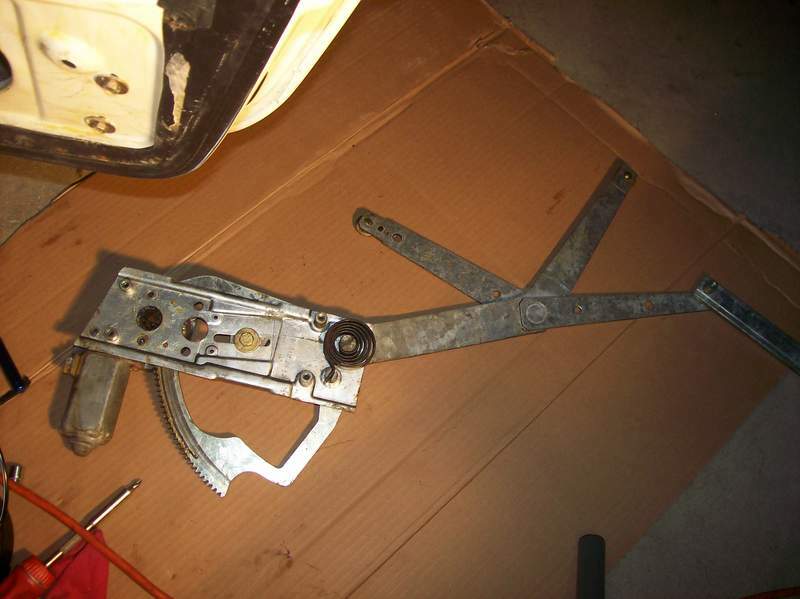 The photos are of the window regulator, not the locking mechanism. The locking mechanism in question is inside the door furthest away from the door hinges. It can't be seen on any of these photos. Look at where the lock button on the top of the door is. You can follow that down to the pivot, then along a rod that goes behind the vapor barrier. 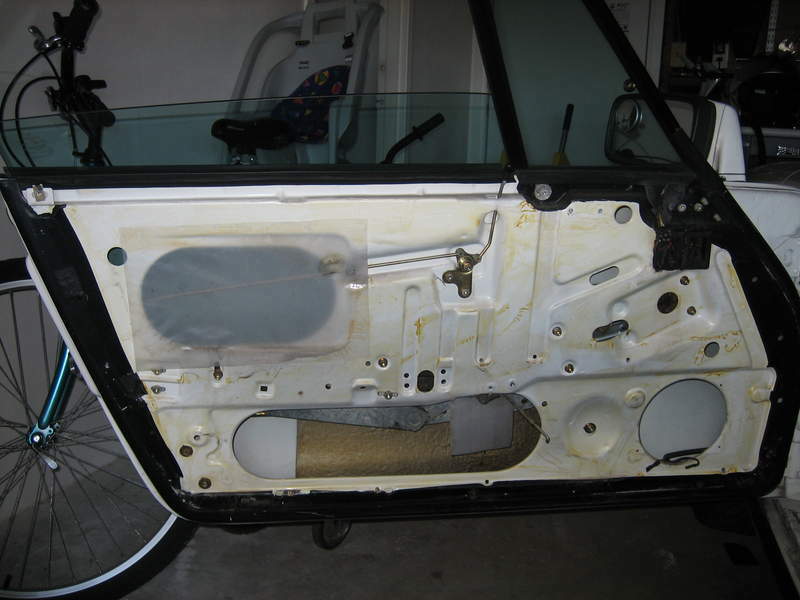 Where that rod terminates is the part that is most likely causing your problem. Thanks for finding that post. It will help tremendously considering all of the photos.